This Compact Excavator Rental – John Deere 17D, is available for rent in Rochester NY, Ithaca NY and the entire Western New York region from the Duke Company. 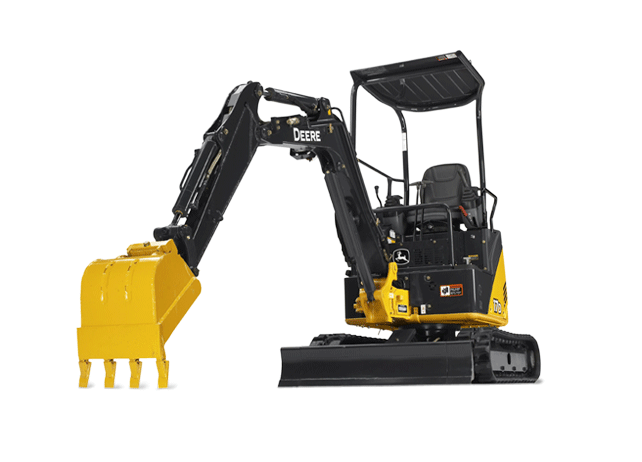 Featuring a reduced tail swing and tier 4 engine, this compact excavator is notable for its 12 foot, 10 inch digging reach, capable of digging a maximum of 7 feet, 1 inch. Diesel powered with a 14.8 horsepower engine, the machine has an operating weight of 4,173 pounds. Documentation includes extensive, detailed model information including rated power, maximum digging reach, maximum digging depth, and operating weight.